What started like a little joke turned into a short feud as Davido and Tiwa Savage unfollowed each other on Instagram. Well, it seems they have reunited with eachother after their exchange on IG. It started on Twitter when Wizkid announced his search for a sister, a line from Davido’s latest song Assurance. And Davido replied with “Tiwa our sister”. 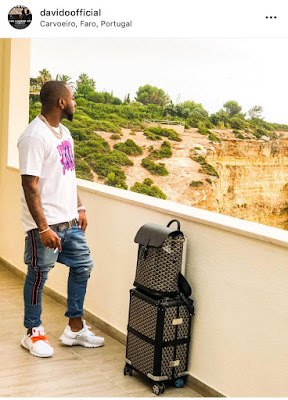 Right now both top entertainers are now following each other on Instagram as Davido shared a photo of himself in Portugal for a show, Tiwa Savage commented on his post and Davido also replied.